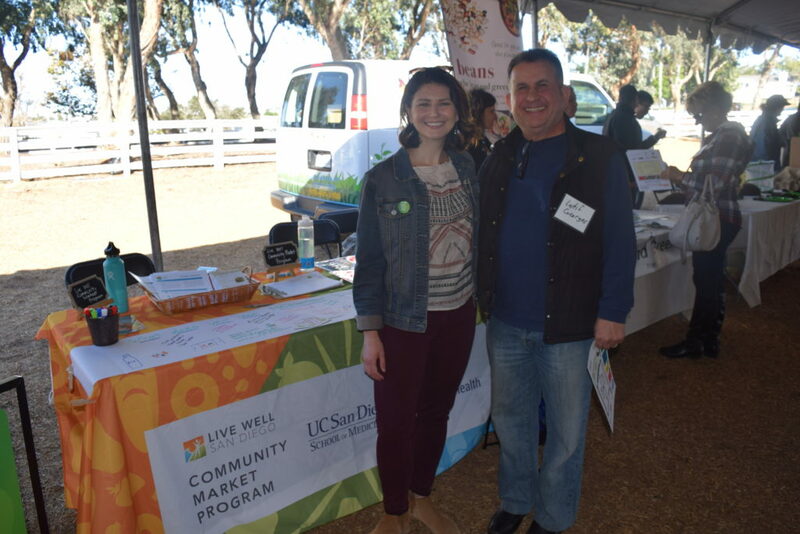 On Friday December 2, our Live Well Community Market Program team hosted a table at the Annual Good Food Showcase, organized by Community Health Improvement Partners, at Coastal Roots Farm in Encinitas. 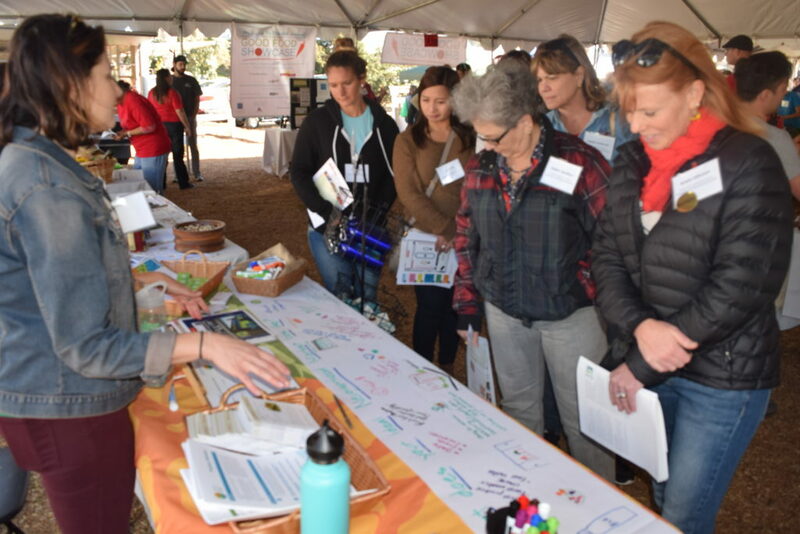 Every year this showcase gives local distributors and growers the opportunity to connect with local buyers who want to support local, sustainable business and encourage the consumption of good foods. 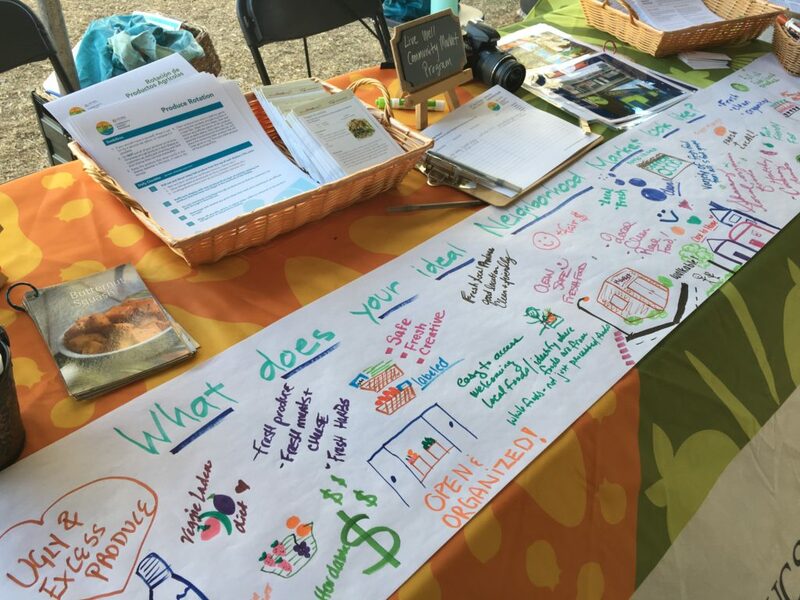 It also allows a platform to advocate for healthful and sustainable food systems. 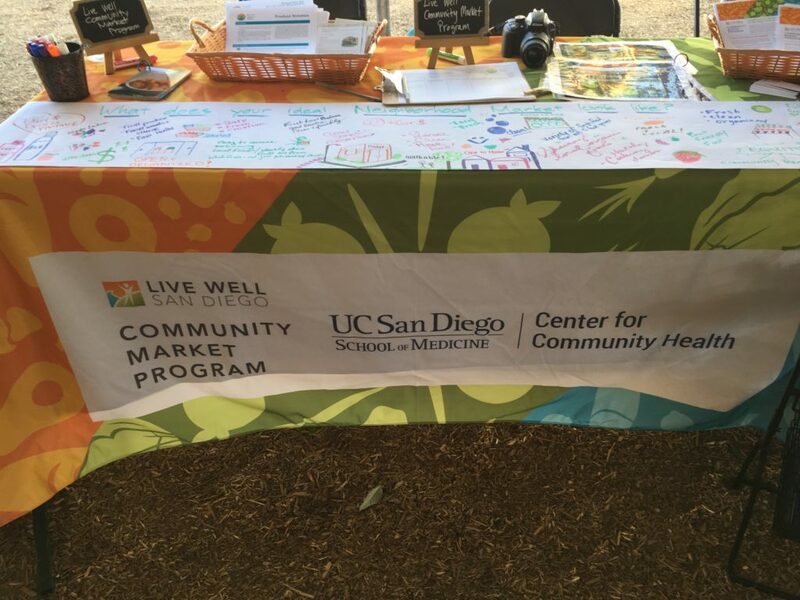 Our team promoted the Live Well Community Market Program with information and activities demonstrating how we help small neighborhood markets source and sell more healthy fresh foods, in addition to several other improvement strategies. Participating market owner Latif Georges from Louie’s Market Place was also excited to attend. 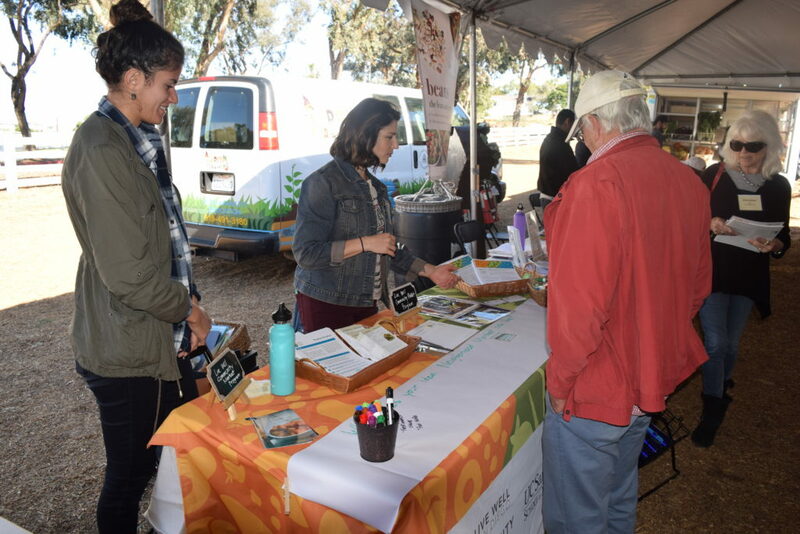 Latif met with local growers like Second Chance Youth Garden to discuss potential local procurement sourcing options to bring to his market in Oak Park. Special thanks to Community Health Specialist Nehmo Hassan and student intern Katia Lopes-Gilbert for setting up and running a fun and engaging table to interact with showcase attendees. 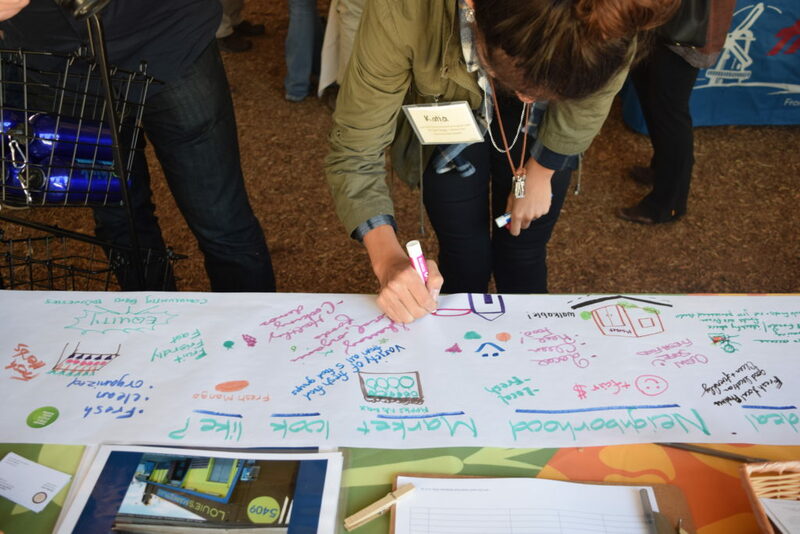 So then, what does your ideal neighborhood market look like? Reach out and let us know! Next Article: See You Soon, Michelle Obama!